It might help getting our minds around what is so wrong in America today by thinking about the local police force. It's not hard to understand that the job of the police is to protect lives and property. Suppose we decided to broaden their mandate. Suppose each municipality decided that the job of the police was not just protection but to make every community more fair and just and to improve the quality of life. To do this, we'd have to let them decide what is fair and just and give them authority to implement their sense of these things. They could force families they thought had too much money, or who earned their money in a way they thought not fair, to turn some of their resources over to others who the police concluded more deserving. Or, if they happened to hear parents yelling at their child, they could enter the house and instruct them how they should be raising their children. It seems pretty absurd. But it's exactly what is going on in Washington and why things are such a mess. The very entity -- our government -- that is supposedly there to protect us now has incredibly wide latitude to invade our lives and property. Even worse, not only is there considerable latitude to do this openly, but it can occur insidiously in ways where citizens don't even realize it's happening to them. In the former instance, at least Congress openly votes to pay for expanded programs and spending by raising taxes. But even with a license to steal, government power brokers know they can just take this so far. Spending may provide a path to political popularity for some, but paying for it all through taxes is a path to popularity for few. Over the last couple years, we've had a vast expansion of government spending to bail out banks, automobile companies, those with mortgages they can't afford, expand unemployment insurance, create all kinds of projects under the headline of "economic stimulus," etc. If government is spending a trillion and half dollars more than it is taking in through taxes, which is the case with a deficit of the size that we have now, where's the money coming from? We can turn to Ben Bernanke, head of the Federal Reserve, who this past week held the very first press conference ever held by a Federal Reserve chief. This reflects the fact the Federal Reserve has been transformed into a political entity. The Fed should, in principle, be a special kind of police force. Their job should be to protect one very unique aspect of our property -- our money. But instead, the Fed has, allegedly within the scope of the law, assumed a broader mandate to provide another way to finance government spending -- printing money. Like police with a responsibility for protecting property but also with a license to steal, the latter will eclipse the former. The Fed either is going to protect the value of our money or it is going to print it to pay for spending. Unfortunately, it has chosen the latter. Like everything else in our country, money has become relative and politicized. When the dollar was tied to gold, the official price was $35 per ounce. Since we severed this link in 1971 and totally politicized our money, it now takes over $1500 to buy an ounce of gold. Our taxes get raised indirectly through higher prices and the eroded value of our savings. 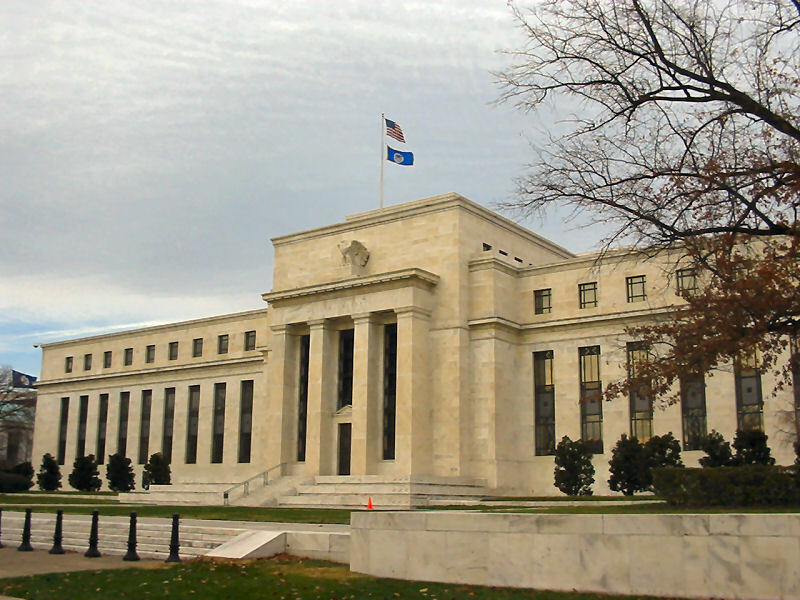 Politicization of the Federal Reserve and our money is a particularly dangerous development in a trend that is ruining America -- the erosion of law and the distortion of the role of government. There is no way around the fact that freedom and prosperity only exist when government protects property, and this includes our money.